In the Himalayas, there are yetis that live high in the mountains above the clouds. 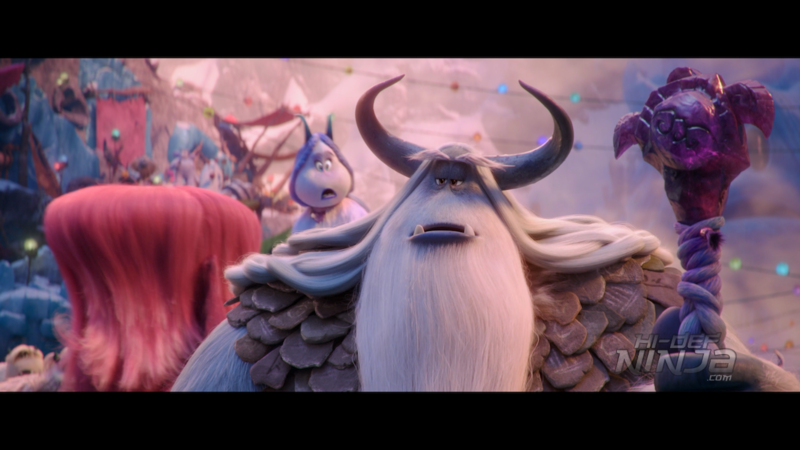 Migo is one of the inhabitants who strictly lives by the laws that a yeti called The Stonekeeper enforces. 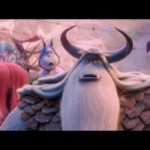 The various laws are to keep the yetis safe and isolated from the human world. Migo’s father, Dorgle, has an important job: he has to hurl his body at a large gong or the people believe that the sun won’t rise. This is something that he has been teaching his son to take over some day. Migo has a crush on The Stonekeeper’s daughter Meechee and one day Migo tries to hit the gong on his own. He is completely distracted by Meechee and misses the gong. He goes further down the mountain and is “involved” in a plane crash. 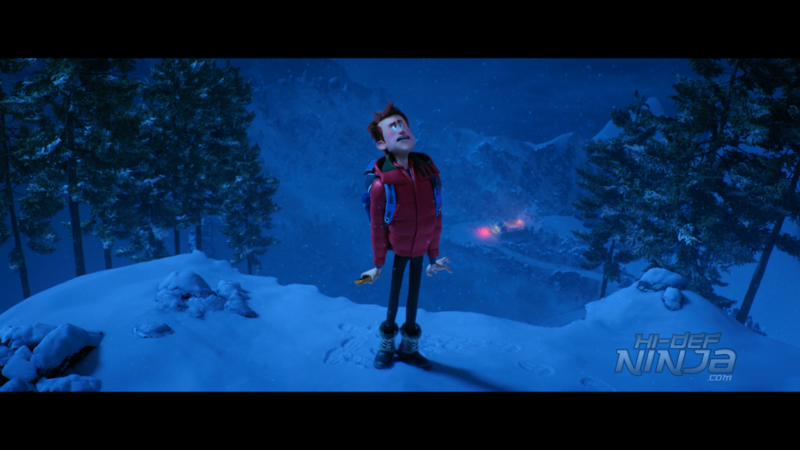 This is where he sees a “smallfoot”. 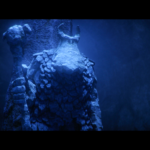 He runs back to the village but no one believes him so the Stonekeeper banishes him. He needs proof to be accepted back to the village again. 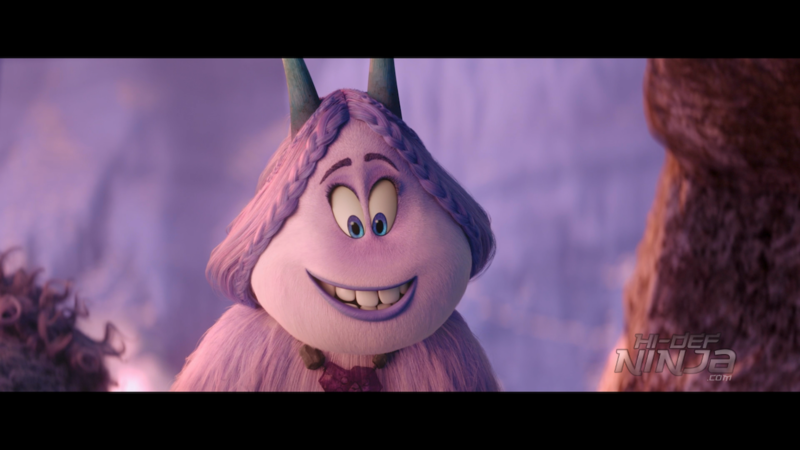 SMALLFOOT is directed by Karey Kirkpatrick, who worked on OVER THE HEDGE prior to this, and Jason Reisig, who is making his debut in directing. 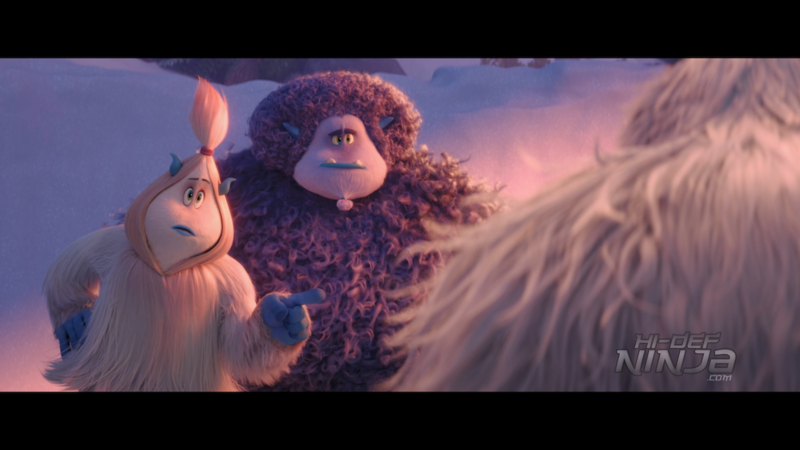 The movie is based on the unpublished book Yeti Tracks by Sergio Pablos. 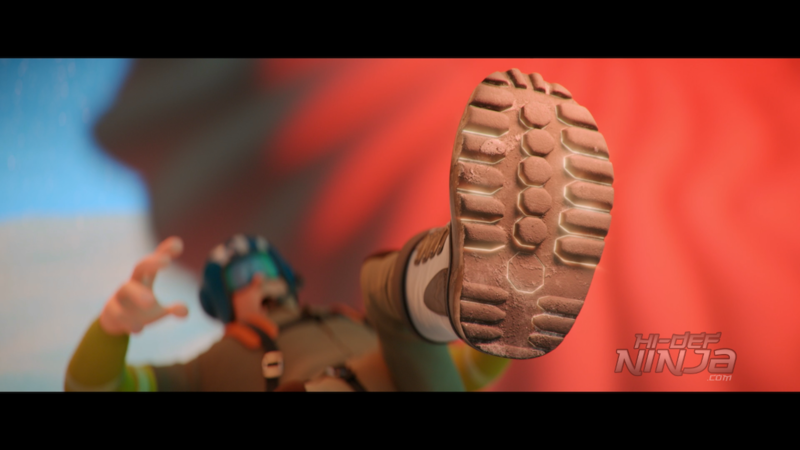 As far as the movie goes, the animation is top notch. 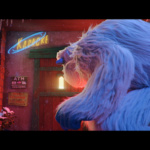 It is incredibly smooth and the fur textures are not the same for every yeti in the village. All of the art has a real stylized look to it so the proportions of the people look cartoonish. There are a lot of enjoyable moments and very entertaining. The video is a 1080p AVC presentation that has a superb transfer. 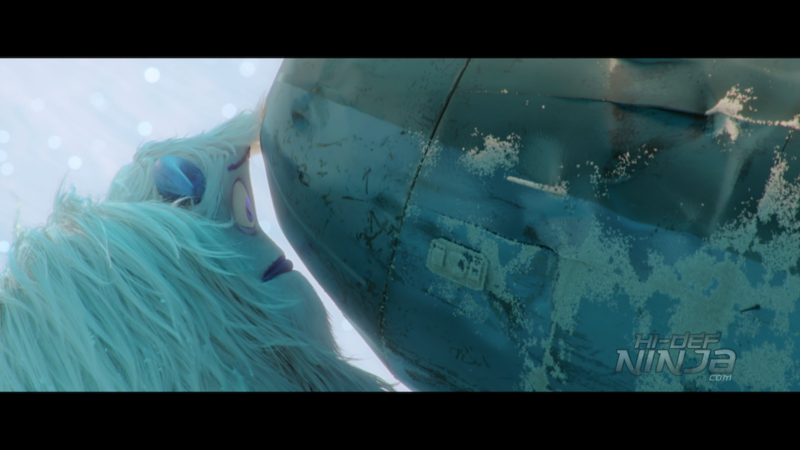 As I mentioned earlier, the fur on the yetis is done extremely well. It is convincing enough to pass for the real thing. Migo, in particular, has hair that is out of place and feathered to show individual strands. 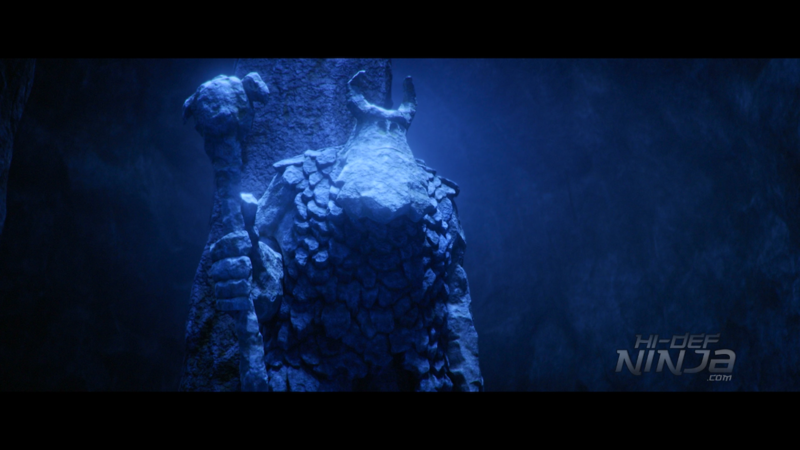 The little details such as the rings on his broken horn and the even the textures on the stones in various scenes enhances the realism. 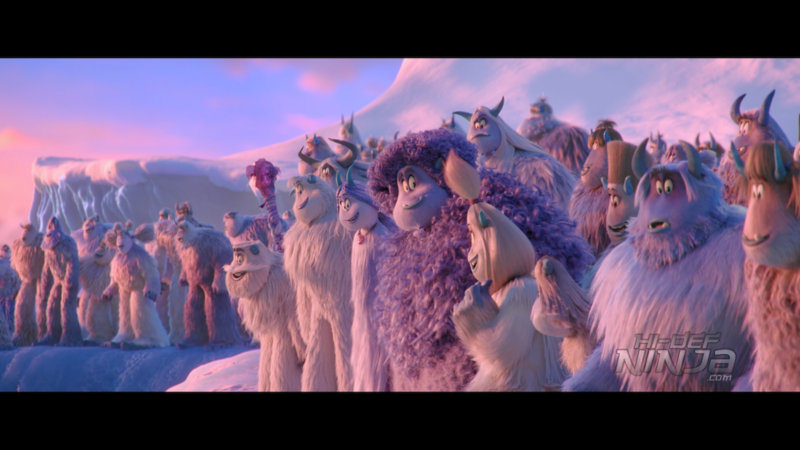 The coloring to differentiate the various yetis and the neon from the human signs comes off as bright. Other colors such as the primaries from the humans are bold. The transfer as a whole is very clean and crisp. The audio is a DTS-HD Master Audio 5.1 mix that is very lively. There is constant ambient sound in the surround speakers from the windy environment of the Himalayas. There is also echoing and reverberations of sound in caves and outdoors as the sound carries in the distance. There is a lot of music and it sounds excellent. There is plenty of clarity and solid LFEs. The voices have been properly prioritized. 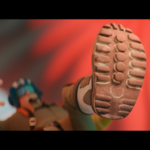 -Super Soozie Mini Movie: This is a two-minute movie about a hero named Soozie. 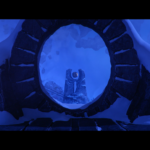 -Migo in The Secret of The Yeti Stones: This is a short made mostly of animatics and storyboards to show the finished product. 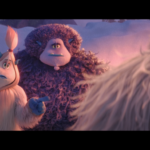 -Yeti or Not, Here They Come! 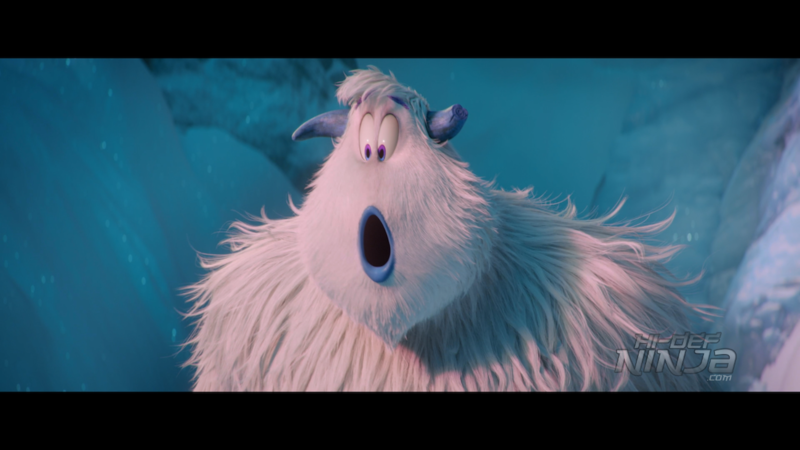 Imagining SMALLFOOT: This is an EPK about the movie with clips and interviews about the movie. 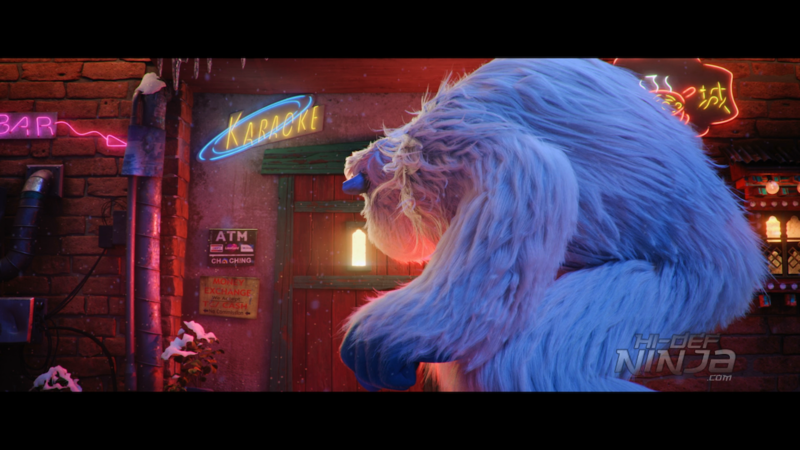 SMALLFOOT is a solid family film with singing that makes this more of a musical than any trailer let on. The voice cast is great and the story is a really nice idea. 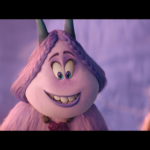 The video has a clean transfer and, like most animation in HD, looks superb. 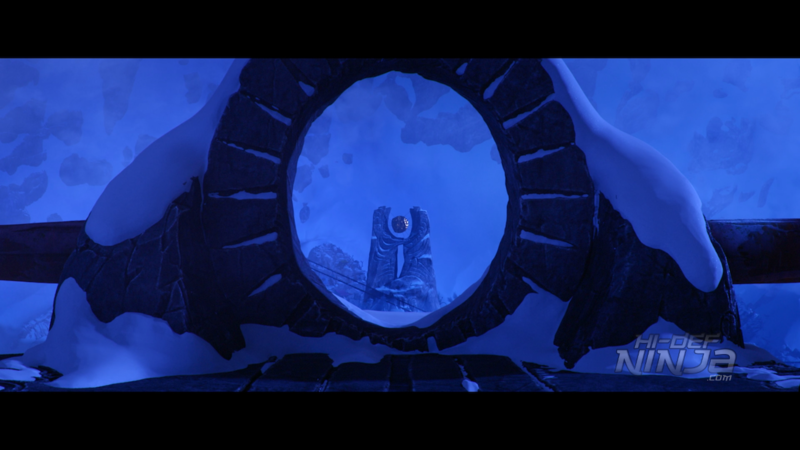 The audio is a well-mixed track for the voices, effects, and especially the music. The extras are decent and get into the making of the movie plus some other supplements that all of the family will enjoy. Overall, I highly recommend it and can say that it is at least worth checking out.